In the second volume of the supernatural comedy, we witness our mild-mannered psychic hero encounter another of his kind. Tenga Onigawara, the chief delinquent at Mob’s school (Salt Middle School), plans to use the Body Improvement Club, of which Mob is a member, to take revenge against a rival school, Black Vinegar Middle. The Body Improvement Club refuse to help Onigawara, so he sets up a not-so-elaborate trap to get Black Vinegar to kidnap Mob, forcing the club into action. The Body Improvement Club make easy work of the Black Vinegar thugs, when the school’s hidden boss, Teruki “Teru” Hanazawa appears. He, like Mob, is also a psychic, but unlike Mob he believes himself to be the centre of everything: all-powerful, and willing to use his abilities to get whatever he wants. He crushes the Body Improvement Club and Onigawara. However, when Mob tells Teru that he shouldn’t uses his powers like this, Teru attacks him in return. As a result, a massive battle starts between Mob and Teru. Well, I say “massive”, but Teru is the only one doing any of the fighting. Mob follows Reigen’s teachings about not using his powers for violence. As a result, Mob just defends himself while Teru keeps attacking him, only harming Teru accidentally as his 100% explosion. In this volume of ONE’s story, it is the action which is the main focus. There is some comedy thrown into the mix as well, but mainly this time it is about the battle between the two psychics and their different philosophies. It is also interesting to witness this fight because it is one in which one of the participants is trying their hardest not to fight, while the other is giving it all they’ve got. Having said this, there is still some comedy added to the heat of the battle, the main highlight being when Teru tries to use knives to beat Mob, but Mob deflects one of the knives away, accidentally cutting off a massive chunk of Teru’s hair. It is at times like this where ONE’s art style can sometimes fall down. His rough artwork does lead neatly to the chaotic scenes he is trying to depict at the height of the fight but when it comes to the more dramatic moments, the rough style lacks pathos. Here, the anime has the edge when it depicts the fight because other elements such as the music or the use of colour can add to the tension. Regarding other elements of plot development, we also see Mob’s younger and more academically gifted brother Ritsu, whom we learn is actually jealous of Mob’s psychic abilities, yet, Mob in turn envies Ritsu because he is so good at the things Mob is bad at. 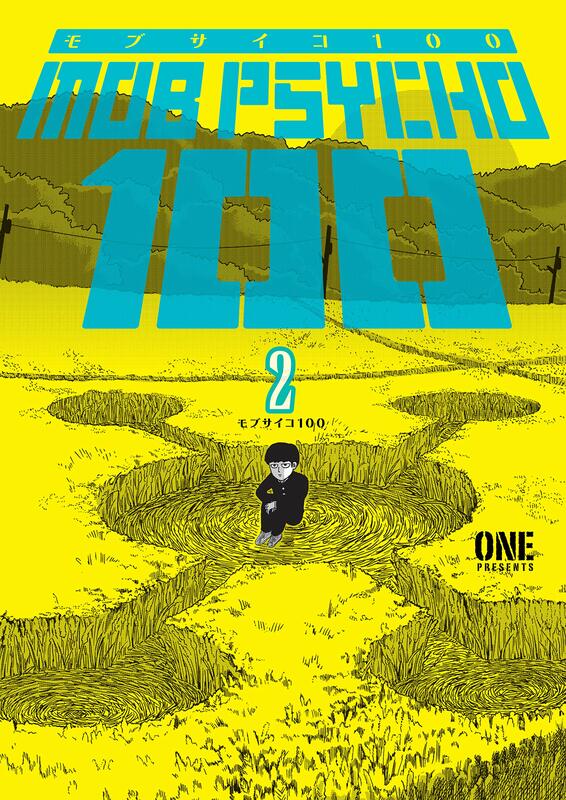 The battle between Mob and Teru is not over by the end of this book, so we will have to wait until Volume 3 to see how it progresses.